The party was held at Backstage Cafe, a nice and cozy cafe with cool woody interior located in the very unassuming industrial Kallang neighbourhood. We were greeted with warm sunshine the moment we stepped into the cafe as the team from The Face Shop did a very good shop in setting up for the launch. 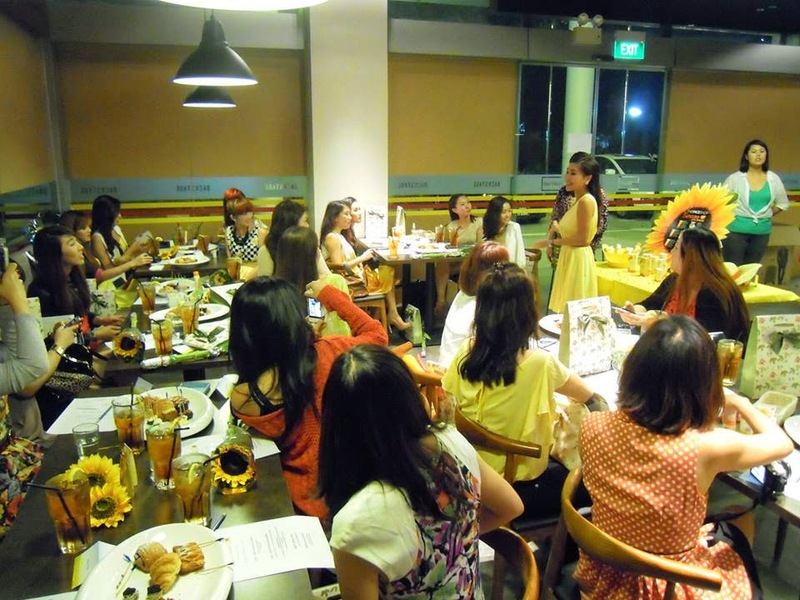 Our pretty host Alethia, also dressed in sunny yellow for the sunflower theme! 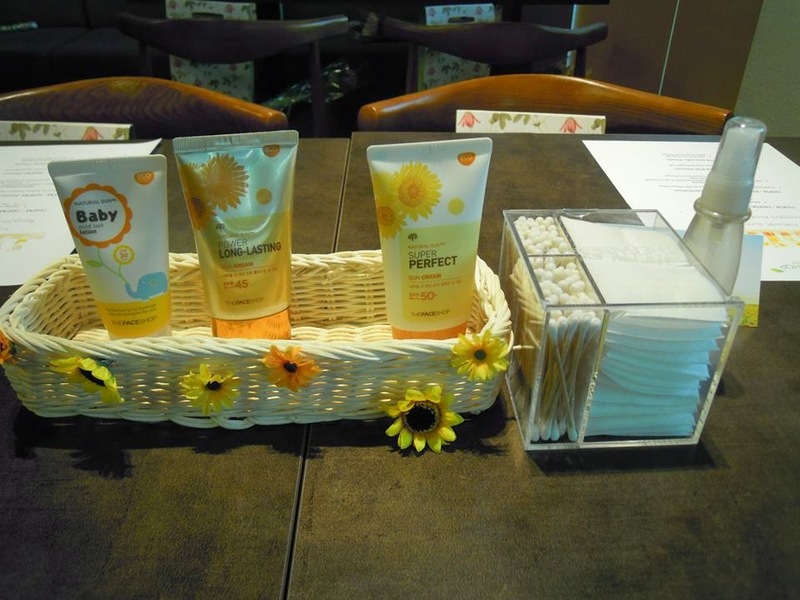 Welcoming all of us and introducing us to the Natural Sun Eco Range. 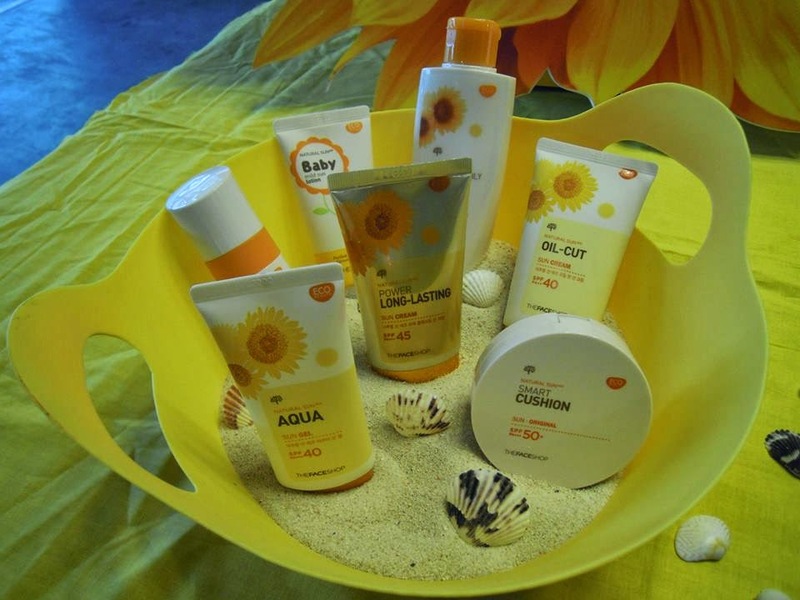 Why did The Face Shop name this range Sun ECO Range??? Simply because they believe in eco friendly beauty! Ingredients used for the production of this line are also obtained from organic sources. Organic mean growing on soil/ground that are free or have not been exposed to man made pesticides and fertilizers etc.. The product comes with a double sealed sticker to ensure product freshness. 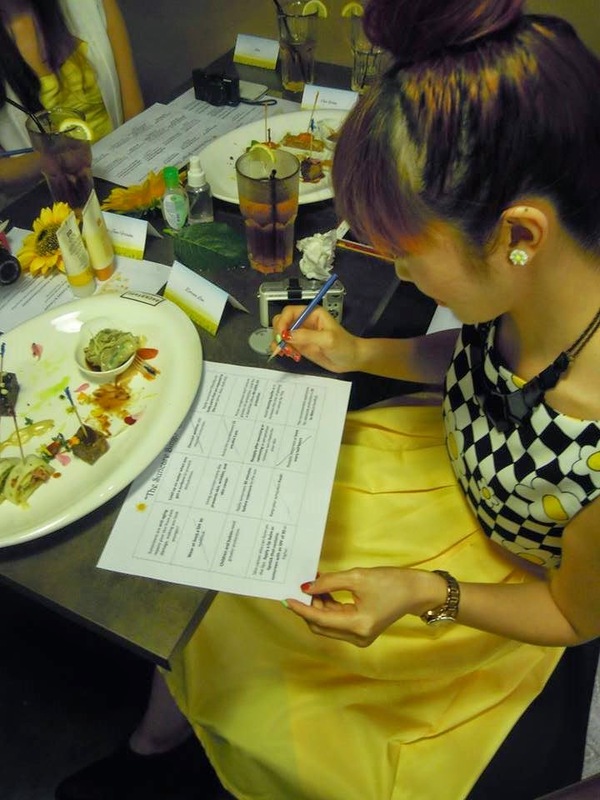 We were treated to canapes and drinks while waiting for the presentation to begin. using the Natural Sun Eco Smart Cushion. it provides some light coverage on my not so perfect skin! Sheena looking all radiant and dewy skinned after the application of the BB Smart Cushion! Picture time while waiting for our light dinner! 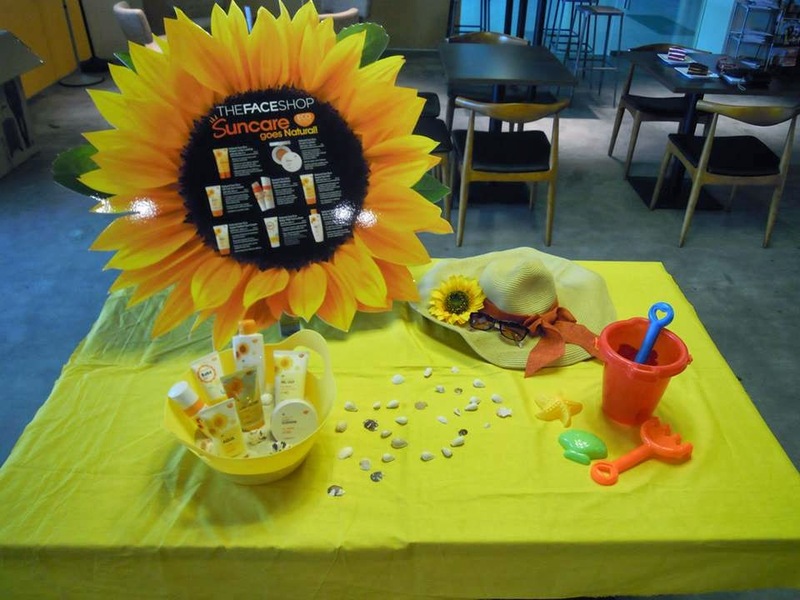 There was even a time for us to play the Suncare Blingo Challenge! Time for some pictures and exploring around the cafe! the theme for this range of products. What all of us went home with! Let's take a look at what's inside the package! I really like the packaging of this product! Its sealed with a sticker to ensure product freshness and to maintain sanitary quality. The product comes with a non porous sponge which is really good cos it doesn't absorb the product, ensuring that most of the product can be applied on your face instead! This product is quite moist, gives you sun protection and it provides light coverage too! Great for those of you who like some coverage without piling on the makeup. It can also be used for touch ups by layering over your existing makeup . You can set the look with finishing powder. I set my look with my compact powder for more coverage cos of my lack of blemish free skin. It has a lotion texture with milky feel. Though it has a whitish look when you first apply it on your skin, it blends right into your skin without any hint of the initial "white" that you saw. Great for layering under makeup as a makeup base! Did you know that the fairer you are, the higher SPH you need? This product has SPF45 which is great for even the fairest skinned girls out there. start with a small amount then slowly layer on more if needed. Don't squeeze out too much on the first application! The package came with the small travel sized bottle, the full size bottle is my own. I've been using this product ever since January and I really really like it! The sales consultant recommended it while I was doing Christmas shopping back in December. Its a very popular range by The Face Shop! This Fermentation Essence has nanofied particles that is easily absorbed by the skin and the skin feels soft and light after application. It also prepares the skin for better absorption of the following skin care products. Use a cotton pad for application and swipe upwards during application. and the cotton pad sweeps away the dead skin cells. 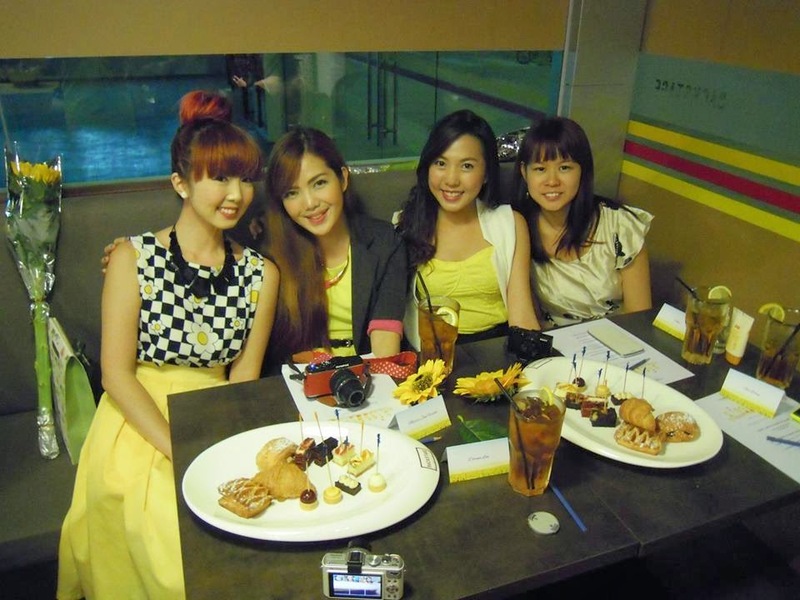 so all of us were dressed in sunny shades of YELLOW! I love dressing up to themes or styles so naturally I was really exited about attending this event! 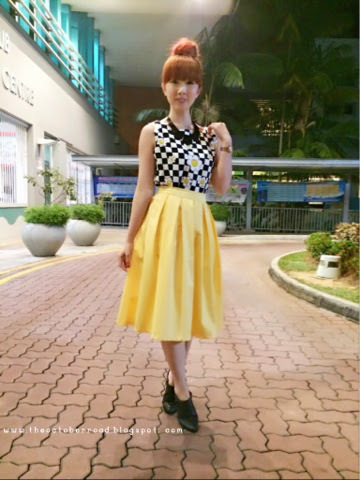 Paired my sunny yellow midi skirt from The Tinsel Rack with a cute daisy print blouse from Bangkok. Completed my look with my black booties from Charles & Keith, black necklace and daisy earrings from Lovisa and my favourite high bun! 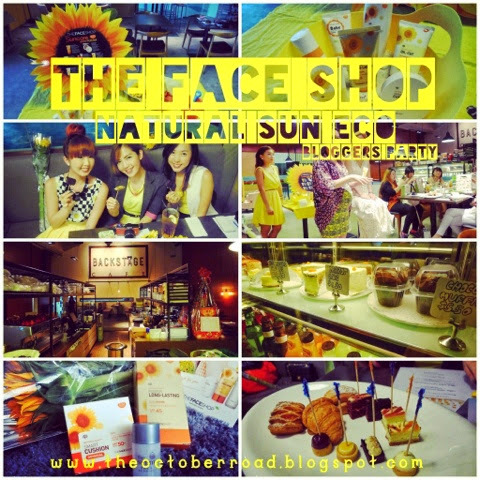 Thank you Face Shop for the fun filled party and the thoughtful gift package! Opening Hours: 10am to 9pm daily.